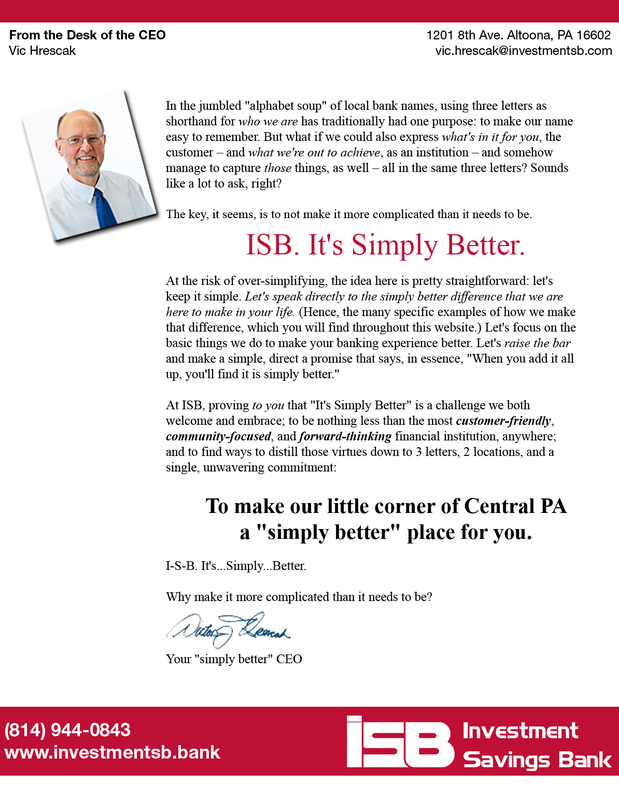 ISB Duncansville Staff – It’s Simply Better! Investment Savings Bank’s location in Duncansville, PA is ready to assist you with your personal and business banking and lending needs. Our banking professionals serve the Duncansville community with their versatile knowledge. When you have questions about any of our banking services or require assistance with any of our lending products, please contact us! 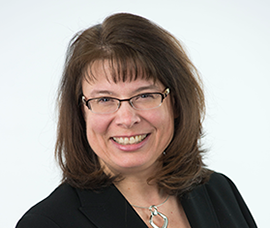 Denise has worked for the past two years as Business Development Officer for Investment Savings Bank in the Duncansville location. She marks a total 13 years of service in banking, which includes 11 years as a branch manager. Denise enjoys helping people reach their goals, whether it’s a business, home, or personal need. Outside of work, Denise volunteers her time with the United Way, and at St. Michael’s Catholic Church, in Hollidaysburg.